The World's Reactors, No. 39, Wylfa Magnox, Wylfa, Anglesey, UK. Wall chart insert, Nuclear Engineering, 1965 a photo by peacay on Flickr. 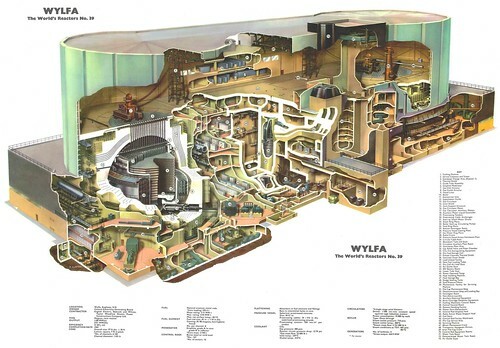 I had forgotten this Flicr set of spectacular Nuclear Reactor cutaways until Boing Boing linked them this morning. You could make a truly fabulous Megadungeon out of something like this.